Christopher Wicks is the designer and creator of all things English Laundry. He was born a child of the Sixties in Manchester, England. In his early years, he found solace sketching shirts, shoes and guitars. What began asa pre-teen pastime, however, became a lifelong career in designing men’s and women’s apparel and homeinteriors. His first full-time design opportunity came at the age of 22, when he became a designer of men’s formal shirts for one of England’s largest gentlemen’s shirt manufacturers. The passion for stripes, collar shapes, pearl buttonsand French cuffs that he gained during these early years has stayed with him throughout his career, which eventually led him away from gentlemen’s apparel to the more in-demand realm of sportswear.Wicks is obsessed with fashion, music and his hometown of Manchester, passions that are evident throughout his unique and distinctive designs. 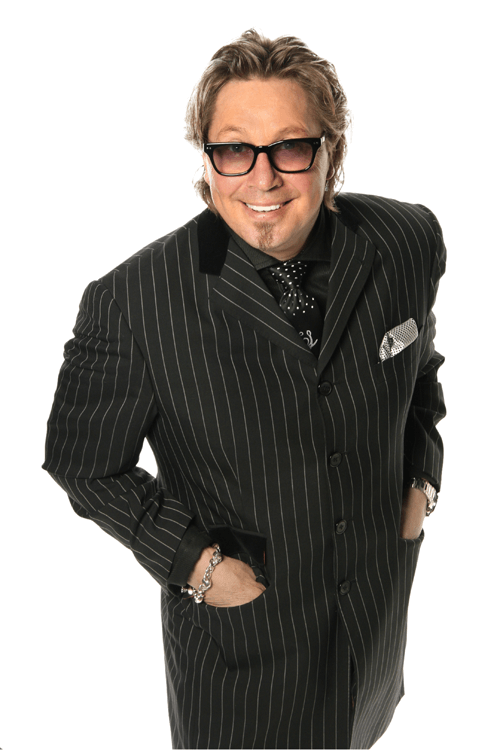 Wicks’ passion for design was recognized by the Fashion Industry Guild ofCedars Sinai Medical Center as their 2010 “Man of the Year,” an award that has previously been given to design luminaries such as Maurice Marciano of Guess and Dov Charney of American Apparel. Mr. Wicks also joined the board of trustees for Otis College of Design and was awarded the “designer of choice” by Otis for 2012. The English Laundry brand was launched over five years ago, debuting in prestigious retail stores across the USA. The English Laundry fragrance line has grown swiftly since its introduction, and now offers over 10 different scents in various sizes for you to enjoy on any occasion. We also offer a full hair care line, scented with the distinctive bouquets of our English Laundry line. English Laundry Fragrances are offered in many fine boutiques in North America. Not only that, but the line is also carried in over 4,000 retail locations in upscale department stores… find us at Nordstrom and Dillard’s stores!